Oak framework constructed to suit your individual requirements and specification, encompassing all designs from Sunrooms, to Garages and even complete houses. 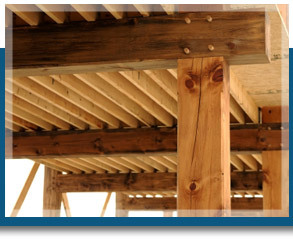 All frames are manufactured from the highest grade of Green and Air dried European Oak. Each individual frame work is crafted using traditional Mortice and Tenon joints each one secured with kiln dried oak pegs, allowing natural movement to commence without reducing any structural performance, therefore creating a unique structure every time. We can offer the complete turn-key package including design, structural calculations, manufacture and installation services. 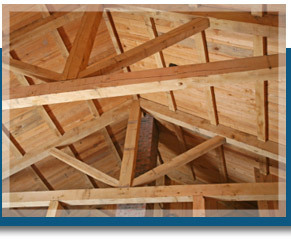 We can also supply individual oak components including King Post Trusses, Purlins, Rafters and Fireplaces. Whatever your requirement, we can help.